We offer numerous other products to make sure you have everything you require in packaging materials and tools. However, please understand that we are able to present only a portion of our entire product line on our web site. Therefore, if you do not find what you need on the web site, please contact us and we’ll make sure your needs are met. 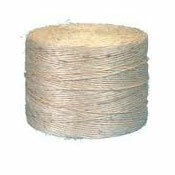 The twine we carry is manufactured from cotton or polypropylene. These varieties strengthen and hold many kinds of packages and bundles together in retail, distribution and manufacturing environments. They are easy to use. 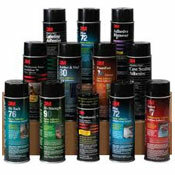 We offer a full line of convenient push-button aerosol worksavers. 3M adhesives are formulated for industrial performance requirements and are availabile in convenient, economical and easy-to-store cans. 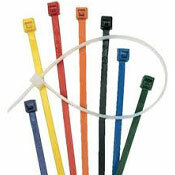 Twine resists rot, mildew, moisture and most acids. It knots easily, holds tightly, and won’t become brittle over time. 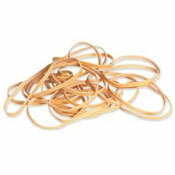 Twine, which is made of cotton or polypropylene, comes in numerous sizes. For example, #850 polypropylene twine has a tensile strength of 138 lbs. and comes in cartons containing 8,500 feet; and #450 polypropylene twine has a tensile strength of 251 lbs. and comes in cartons containing 4,500 feet. Cotton twine is available in various plies, from 6 to 36, and it comes in cones, balls and reels.